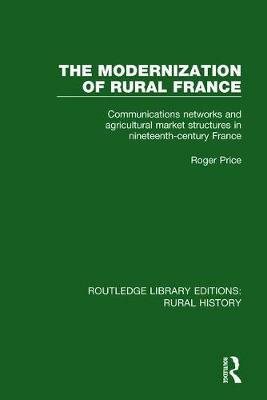 This book, first published in 1983, is a major contribution to our understanding of how and why French rural peasant society became modernised by radical changes in the communications system - in particular, the coming of the railways. The author argues that complex changes in the transport systems, and their effects on agricultural market structures, finally brought traditional French rural civilisation to an end. With the extension of commercialisation, and the widening of horizons, new economic and social structures - and changed attitudes - rapidly came into being. Writing as an economic historian, the author has adopted an interdisciplinary approach to this study which incorporates economic, sociological, historical and geographical methods and data.